With 81.5% of the UK population (PDF) living in urban areas, our connection with the natural world, farming and the value of our food is increasingly being lost. With this in mind, how do we make long lasting and meaningful changes to the way people think about and engage with their food? How do we embed health as a value when we make food choices? And how can we link consumer knowledge and demands to deliver more sustainable food and farming? Addressing these hugely challenging questions will require a truly collaborative approach and crucially, one which is underpinned with real life experience out on farm. That’s why at LEAF (Linking Environment And Farming) we have pioneered an event called Open Farm Sunday, which is now firmly established as the farming industry’s annual open day. Open Farm Sunday takes place on 5 June 2016. Find your nearest participating farm. Managed by LEAF since it began in 2006, Open Farm Sunday is a day when farms all over the UK open their gates and welcome visitors onto their farms. It unites the whole industry, all coming together to showcase the very best of British farming. Farms are vibrant places and full of life. 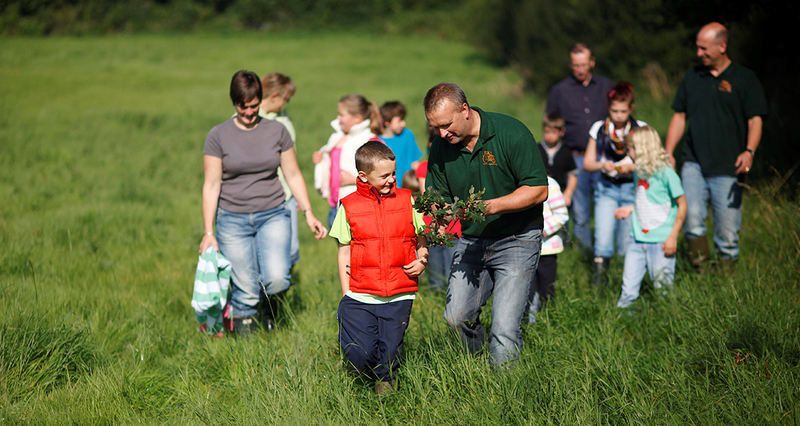 Over the last 10 years, Open Farm Sunday has had a huge impact in raising awareness amongst the public about what goes into producing their food, and what farmers do to manage our countryside. Since the first Open Farm Sunday in 2006, over 1400 farmers have opened their gates welcoming over 1.6 million (PDF) visitors. There is a real sense of ownership around Open Farm Sunday. It belongs to the farming industry and is the single most effective and supported day in the farming calendar. We offer a huge amount of free resources for host farmers including promotional materials, giveaways for visitors, training events as well as a national media campaign. Open Farm Sunday is open to any farmer – regardless of size, location or farm type. We leave it up to the farmers themselves to decide what kind of event they want to run, which can be anything from a small farm walk right through to a full open day for hundreds of visitors. Our vision at LEAF is of a world that is farming, eating and living sustainably. We work with farmers, the food industry, scientists and consumers to inspire and enable sustainable farming that is prosperous, enriches the environment and engages local communities. 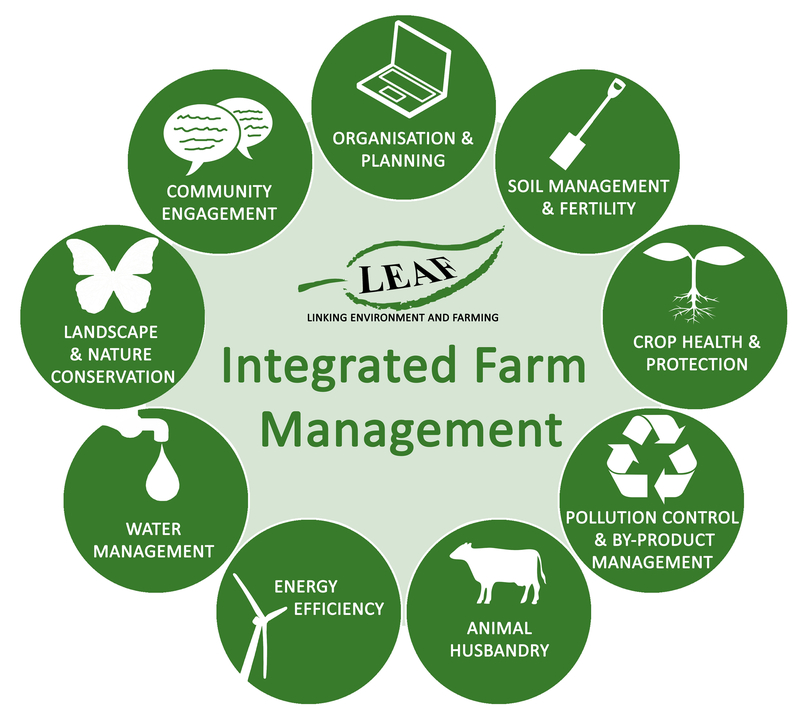 LEAF promotes Integrated Farm Management (IFM), a whole-farm approach delivering more sustainable farming. IFM uses the best of modern technology and traditional methods to deliver prosperous farming that enriches the environment and engages local communities. The principles of Integrated Farm Management. As we celebrate our 25th anniversary, LEAF is ever more passionate about engaging people with farming and food. Providing people with opportunities to discover how their food is produced, where it comes from and meeting the farmers who produce it, builds trust and helps to ensure people really value the food they eat. This, in turn, can lead to more sustainable food purchasing decisions. 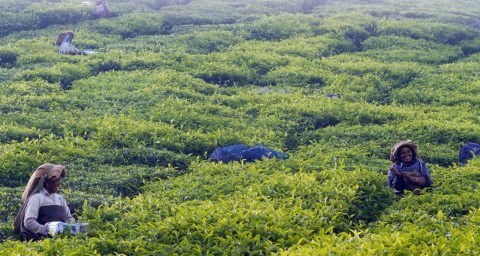 LEAF works with farmers across the globe to help them adopt more sustainable farming practices and get rewarded and recognised for their efforts. LEAF’s global assurance system – the LEAF Marque now operates in 37 countries, with many of these farm businesses taking active steps to engage with their local communities through Open Farm Sunday, hosting farm visits and getting involved with local outreach projects. There’s more on this in LEAF’s latest Global Impact Report. Farms are really inspiring places. 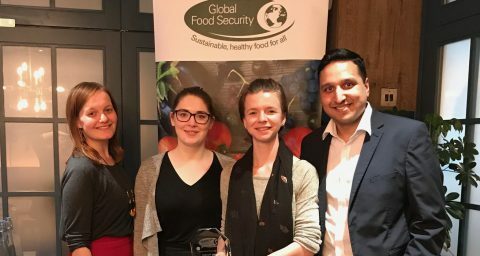 They play a hugely important role in reconnecting people with where their food comes from and how it is produced. Only by experiencing for themselves the sights, sounds and smells of real working farms will people start to really value and trust the food they eat. This is what Open Farm Sunday is all about. A survey carried out last year, revealed that nearly 75% of visitors to an Open Farm Sunday event stated that they had learnt something new about farming during their visit and just over 78% said they would be actively looking for the LEAF Marque label on produce. By 2025 (PDF), we want to create opportunities for everyone to visit a farm and find out about the vital work farmers do to produce our food and manage the countryside. Open Farm Sunday takes place on 5 June. Find your nearest participating farm to and reconnect with your food and food producers. Add your comment below. And you can follow Open Farm Sunday and LEAF on Twitter. Annabel Shackleton manages the Open Farm Sunday initiative, which is operated by LEAF, the leading charity promoting sustainable farming across 37 counties worldwide. 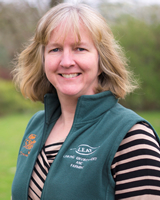 Annabel has worked in the land-based sector for over 20 years in a range of marketing and communications roles at The Farm Energy Centre, ATB Landbase and Lantra Sector Skills Council, before joining LEAF in 2010.